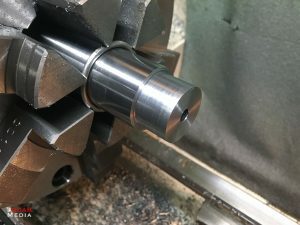 In Part 2 of this series of articles documenting my Mausingfield project, I indicated that I handed over the action and barrel to my local gunsmith. After a solid month of eager anticipation, I received the barreled action / rifle back from the gunsmith. During the time the gunsmith was working on the rifle, he was able to send several photographs during the process for documentary purposes. 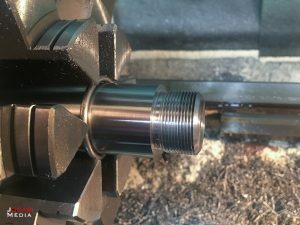 Initially, I only provided my action, barrel, and brake, but later, the gunsmith contacted me and indicated he needed the stock for some final finishing touches. So I provided the Masterpiece Arms BA Competition chassis as well as the Huber Concepts 2-stage trigger, for those to be put on the rifle before it was returned. 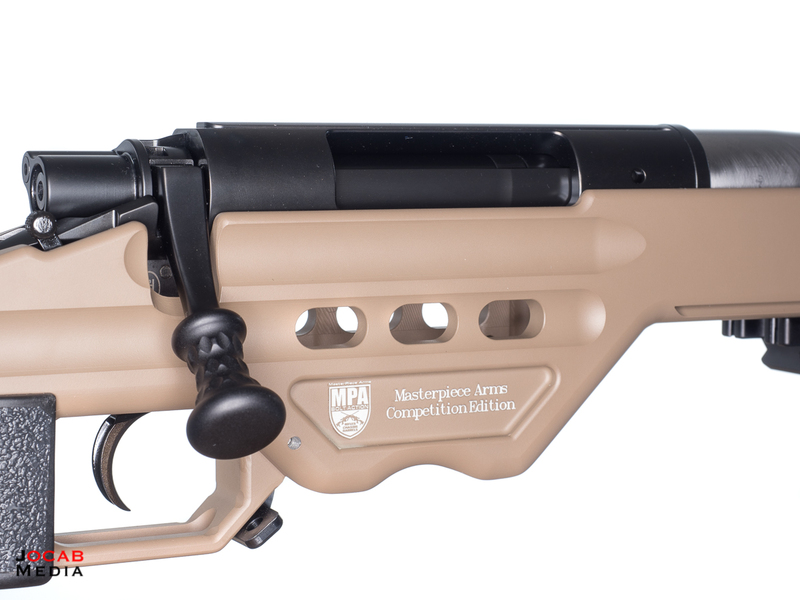 For those wondering about the American Rifle Company Mausingfield and the MPA BA Competition chassis, the gunsmith indicated there were no modifications needed to get it to fit. No relief cuts for the bolt handle and even the screws that came with the chassis did not need to be trimmed to length. For the record, when I ordered the BA Competition chassis, I ordered one for a Remington 700 short action and simply indicated in the notes that I would be using a Mausingfield action. I am not sure if they just gave me the standard Remington 700 inlet, but odds are that they did. After the rifle was returned to me, I proceeded to complete the build. 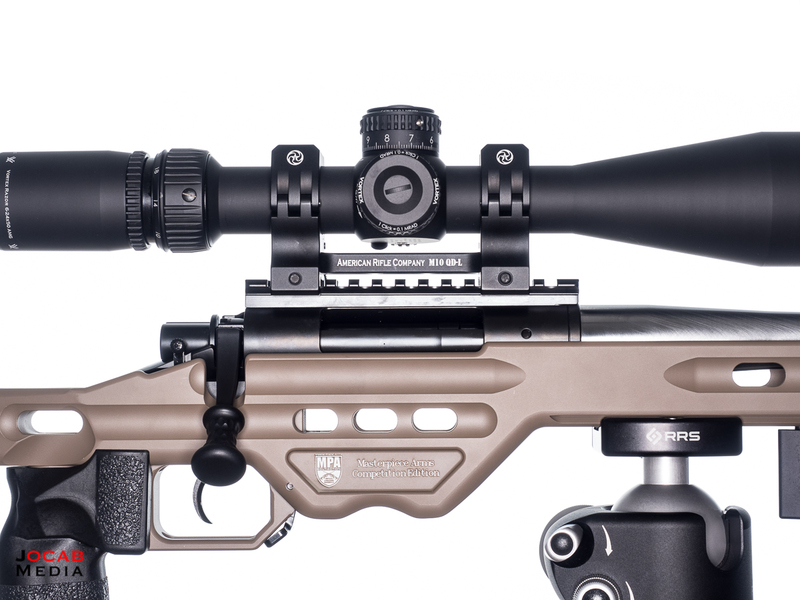 There is not much to say about the scope mounting, other than the fact that the single screw per ‘cap’ on the QD-L makes it dead simple to mount a scope. 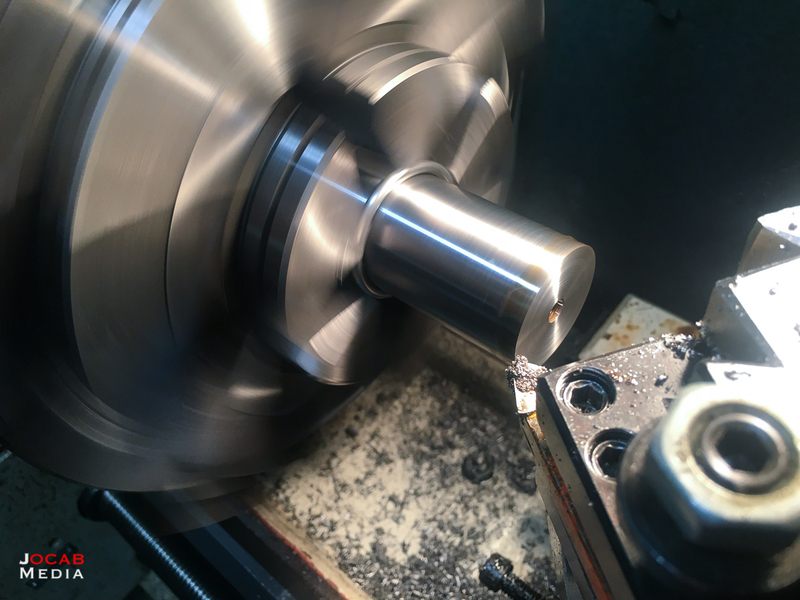 It eliminates scope canting while tightening the rings. As far as the MPA Enhanced Bag Rider, is is basically a longer replacement for the stock bag rider attachment that comes with the chassis. I want to be able to shoot this in F-Class venues, so the longer bag rider makes sense. 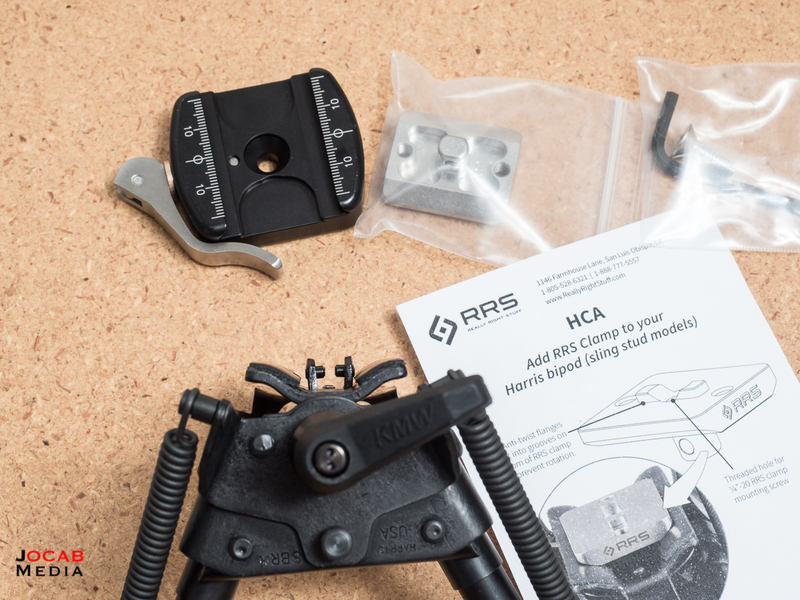 Not to mention, it simply is better overall for whenever you want to use a rear bag/rest. In the several months during which I was waiting for the action to be delivered (and had already acquired the MPA BA Competition chassis), there have been a few solutions introduced to adapt bipods to Arca-Swiss dovetails. 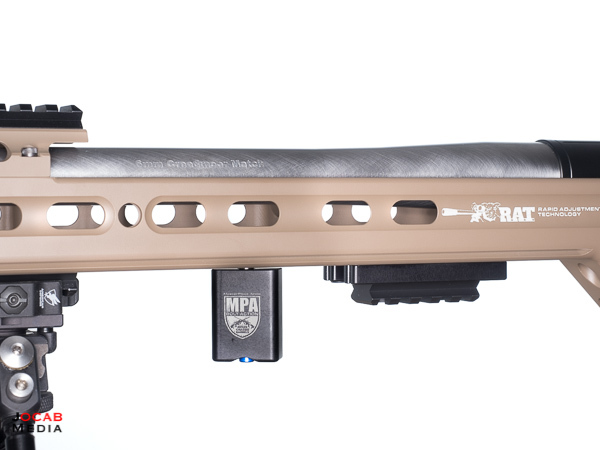 Given the fact that the MPA BA Competition chassis has the Arca-Swiss dovetail machined into the entire length of the forend, I decided to experiment with Arca-Swiss attached accessories, instead of Picatinny accessories. 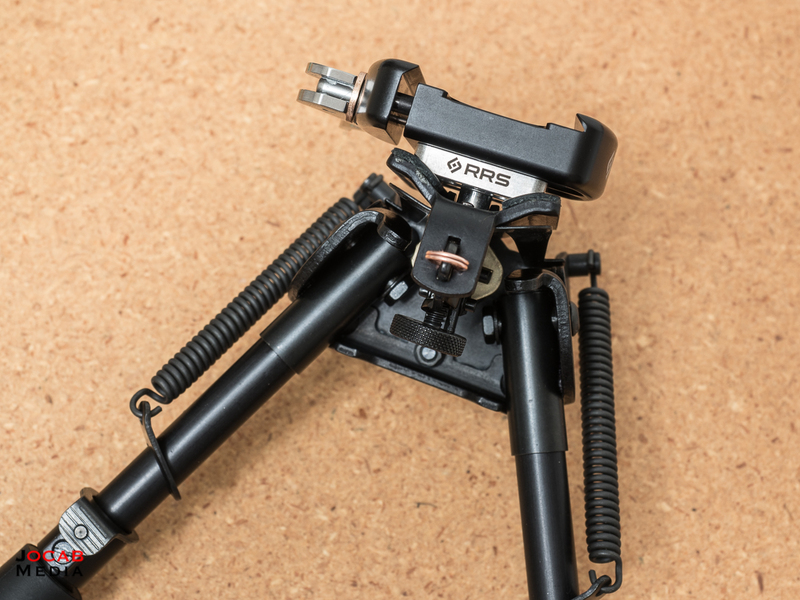 Really Right Stuff initially announced an adapter for Atlas bipods to interface with a RRS clamp, but then quietly put up a similar adapter for Harris bipods. 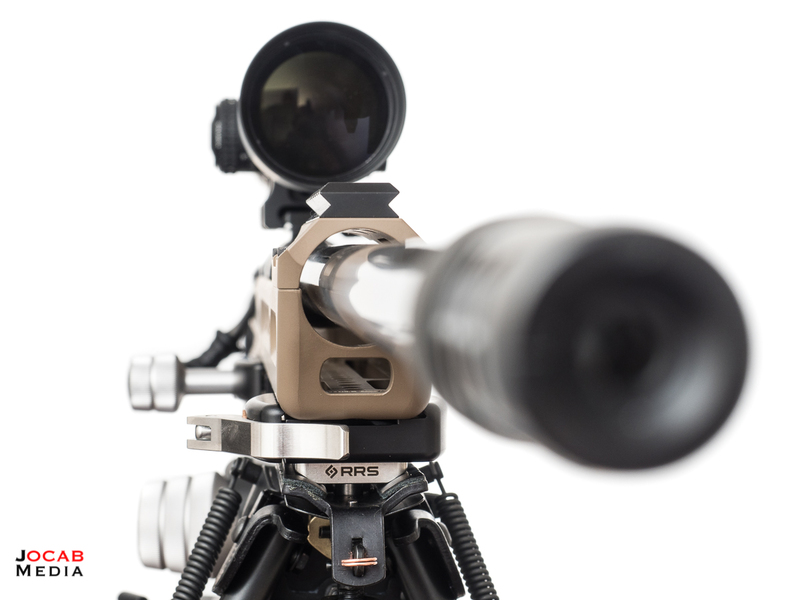 I have both Atlas and Harris bipods, but decided to go back to Harris for this rifle and ended up ordering a Harris S-BRM with a KMW Pod-Loc along with the RRS Harris adapter. 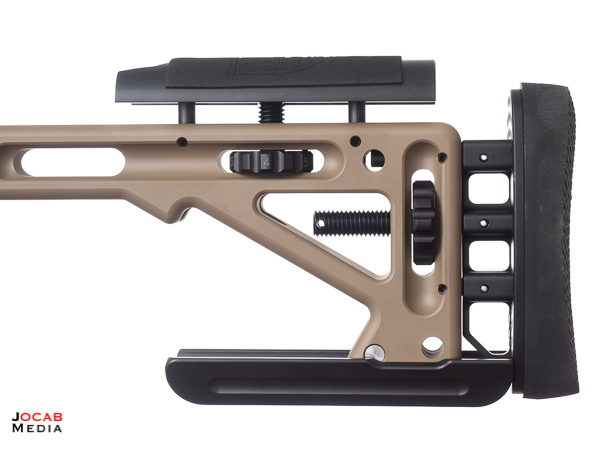 With that, I decided to take off the front bottom Picatinny rail as well as the Trinity Rail that comes with the MPA chassis and mounted the bipod directly to the chassis via the RRS clamp to Arca-Swiss dovetail. Removing the Trinity Rail clears up the entire bottom of the forend so I can quickly slide the bipod fore and aft depending on the shooting platform, or allows me to quickly mount the rifle to a tripod without having to remove any accessories or adapters that require tools. Looks great, right? But how does it shoot? 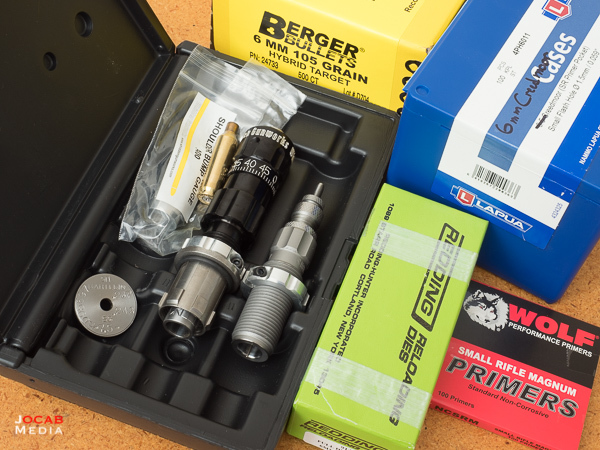 Unfortunately, FedEx screwed me over on an order of 6mm Creedmoor Hornady 108gr ELD Match ammunition that should have been delivered before the weekend, so I theoretically could have gone to the range to get some baseline data. Yes, I do handload, and I actually ended up making 25 rounds in a very conservative range of charge weights after I picked up the rifle. But given this is a quasi-wildcat cartridge and ‘official’ load data is sparse, I wanted to use some factory ammunition to get a baseline performance metric to compare against. If there’s any consolation to not having the ammunition, the wind conditions are less than stellar this weekend (red flag warning), so group testing would have been skewed. 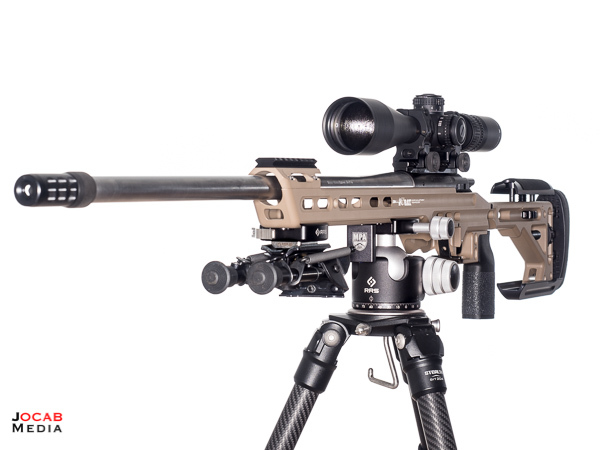 I may do an early morning range trip this week before work so I can get some initial chronograph data and see if there are any kinks with the rifle. As far as some reloading notes, I measured the distance to lands with a bullet comparator and Berger Bullets 6mm 105gr Hybrid Target (which is what I plan on shooting in this gun) and it appears this results in about a 2.810″ overall length (+/- for meplat inconsistency). 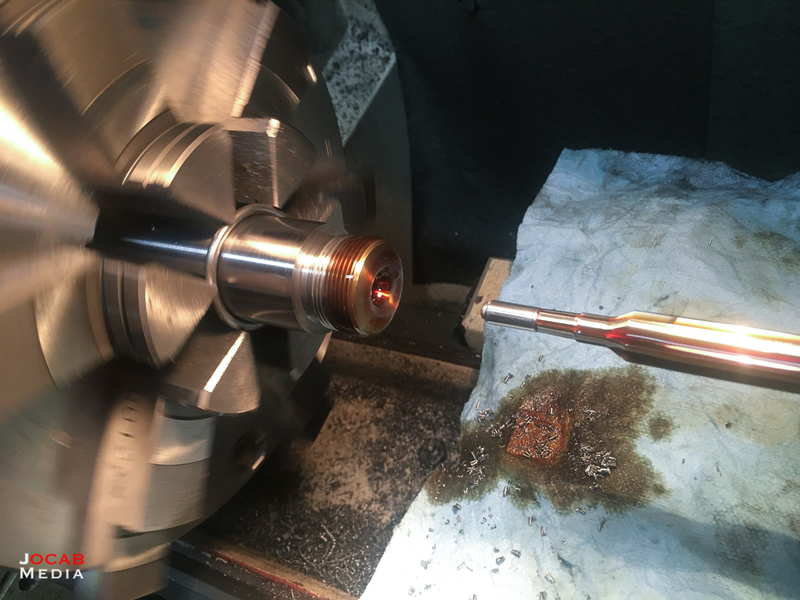 I necked down brand new Lapua 6.5mm Creedmoor brass using a Redding 6mm Creedmoor full length sizing die. The diameter of the seated Berger 105gr Hybrid in the necked down Lapua brass is about .273″, so I ordered a Redding .271″ titanium nitride bushing to use with Whidden Gunworks 6mm Creedmoor full length bushing die I have. I made five rounds in five different charge weights: 40.3gr, 40.7gr, 41.0gr, 41.3gr, 41.7gr. Right now, data is a mixed bag for 6mm Creedmoor because you’re subject to whatever people mention on Internet forums. From what I can tell, most guys are running around 41.5 or 42.0gr of H4350 with the Berger 105. A lot of the private party data on the Internet tends to exclude barrel length, which I feel is critical to any reloading information. 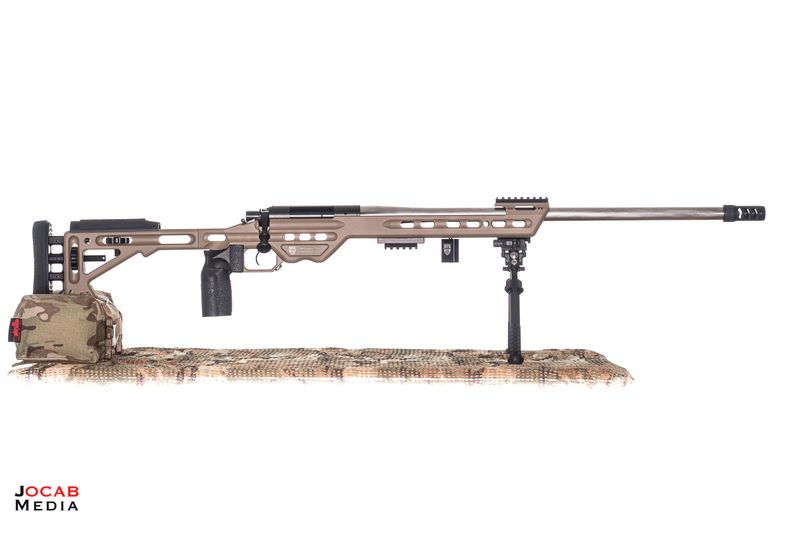 But it appears there is a good mix of 24″ to 26″ barrels with 6mm Creedmoor rifles out there. My specific rifle has a 24″ barrel. I used to be an advocate of 26″ barrels, and I might have gone 26″ with this project if I didn’t decide to put a muzzle brake on it. Now when I say I used to be an advocate of 26″ over 24″, it is because I am now indifferent in the 24″ vs 26″ debate. I think 24″ is a good compromise of handling and muzzle velocity. 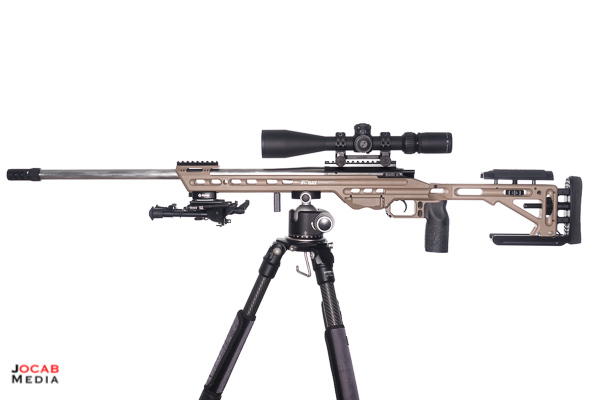 If one were building strictly a prone gun, then I would now say you may as well start looking into 28″ or even 30″ (particularly F-Class). But I digress. 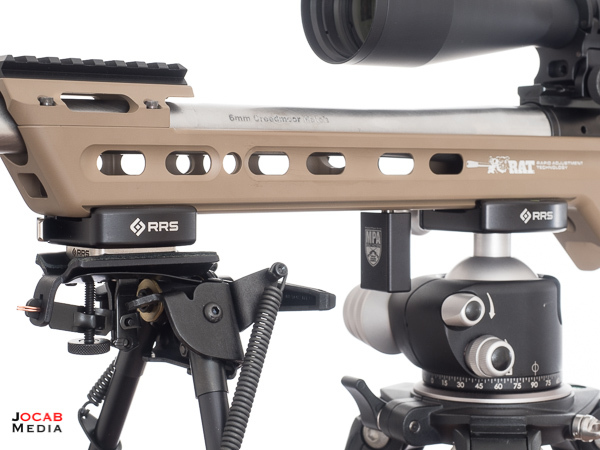 Stay tuned for Part 4 of this Precision Rifle Project which will be essentially a range report along with some initial feedback on the rifle.